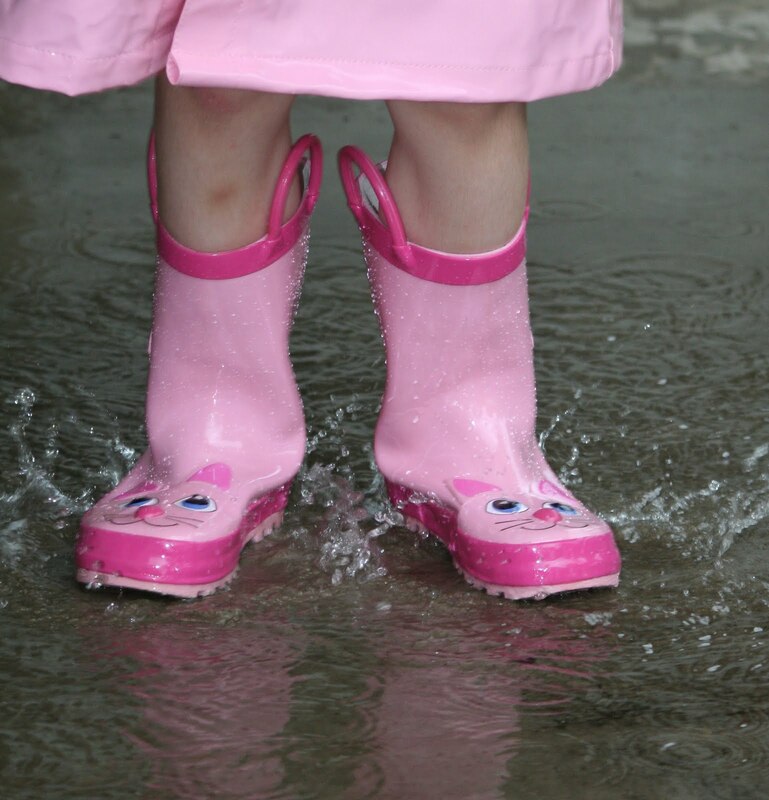 Julie Dawkins Family: Rainy Day Fun! 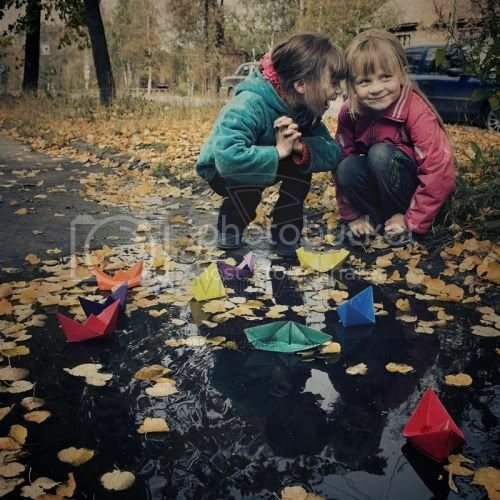 Make some origami boats to float in the puddles. 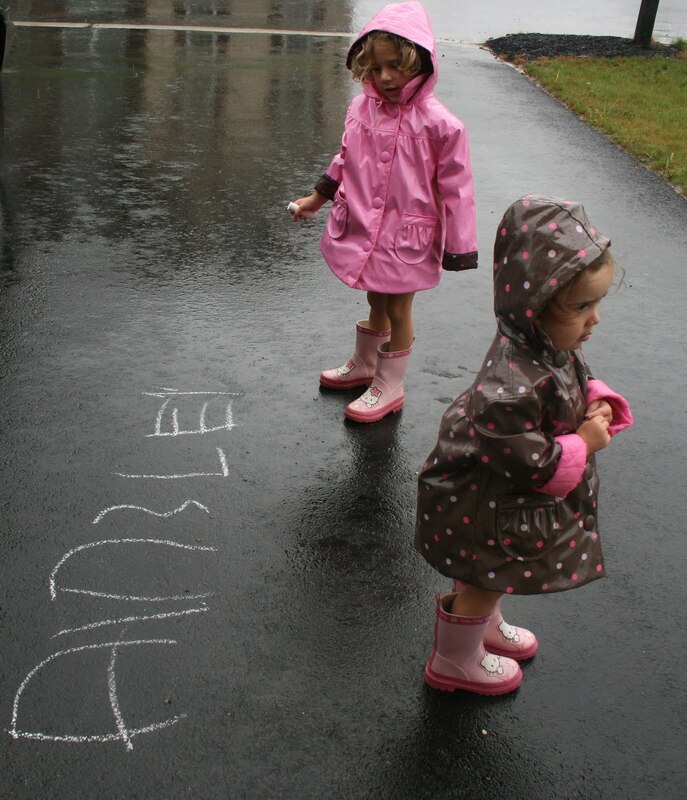 Raincoats + Chalk= Lots of fun! Picture from Our Unexpected Journey. They realized chalk works better in the rain! Squidoo.com suggested putting food coloring in a big puddle and add a few squirts of dish soap then blow with a long tube and you should see a bubble explosion! And if all else fails there is always puddle jumping! Check out the rest of her cute outfit here.